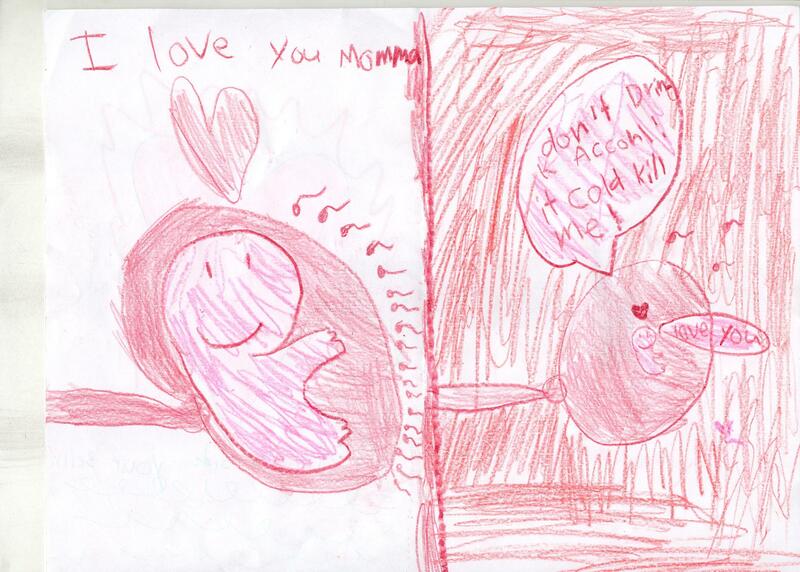 Good work, but I’m just saying I find this a little bit creepy. Yeah. Haha, I know it’s creepy but I find it hilarious. My friend Heather does too. 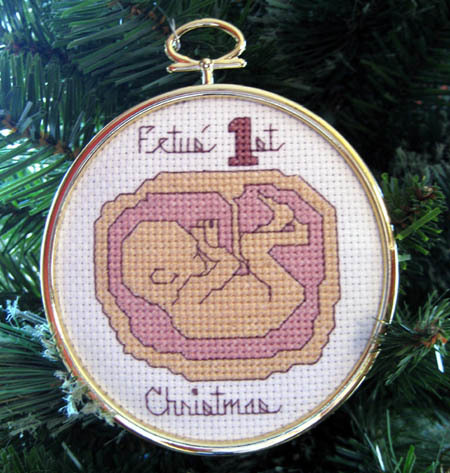 We actually discussed having some kind of fetus ornament where you hung it by the umbilical cord but I decided to go with cross stitch instead. Best card ever. How could I forget? At least my fetus doesn’t have sperm attacking it. Oh, I’m sure you could’ve cross-stitched the umbilical cord up to the edge of the hoop, and braided it off to become the hanger/loop. But then again, as stated previously, creepy. Ha!